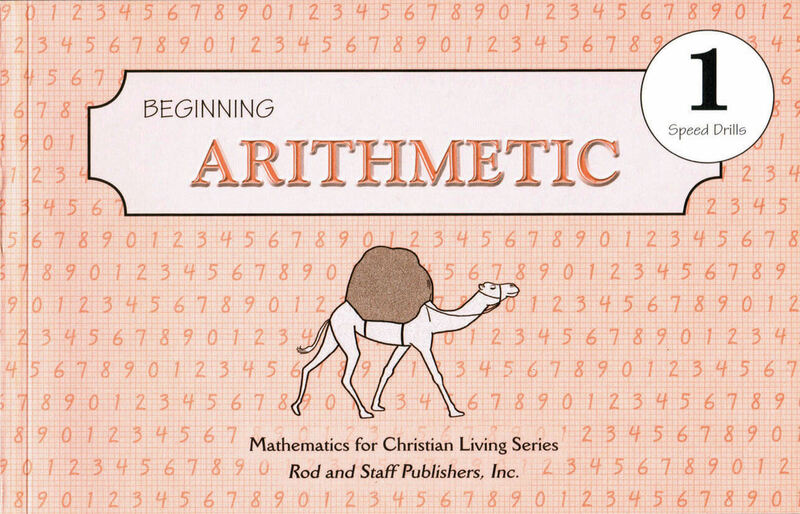 Rod & Staff Grade 1 Math Flashcards are available, but they are not included in this set. 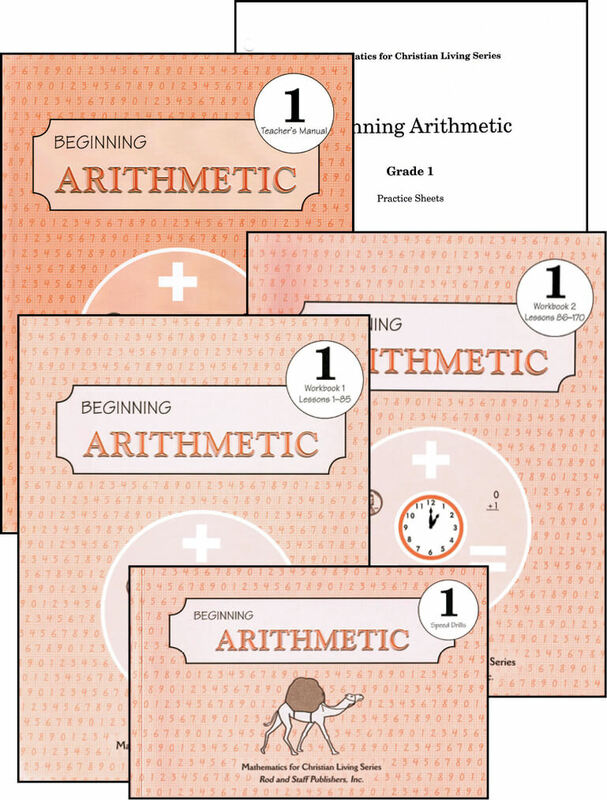 The Rod & Staff Grade 1 Math set includes the following: Teacher Manual, Student Workbook Parts 1 & 2, Practice Sheets, and Speed Drills. Need Lesson Plans for this program (used in Kindergarten and First Grade)? 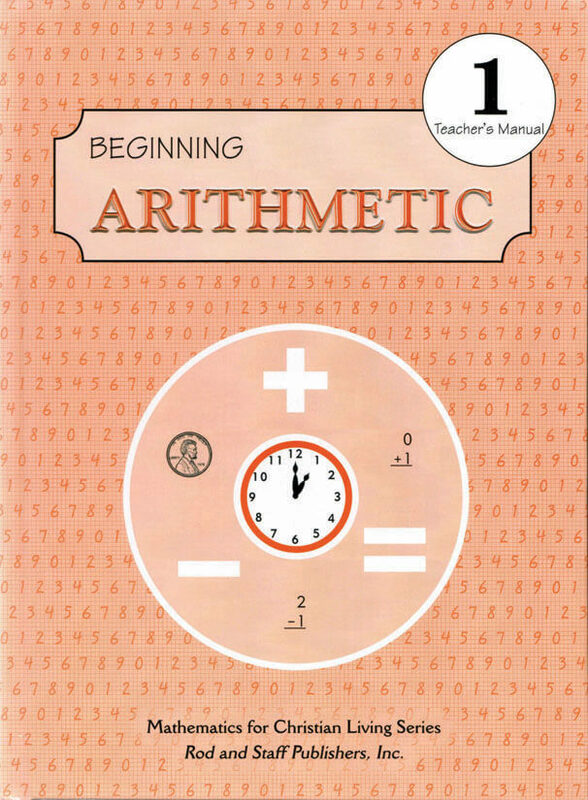 LOVE this math…I was shocked at how much my child learned. Going in, I knew our year with Memoria Press Kindergarten would be great, but I didn’t know what parts were going to help add up to that greatness. One of my biggest surprises was in the math department. 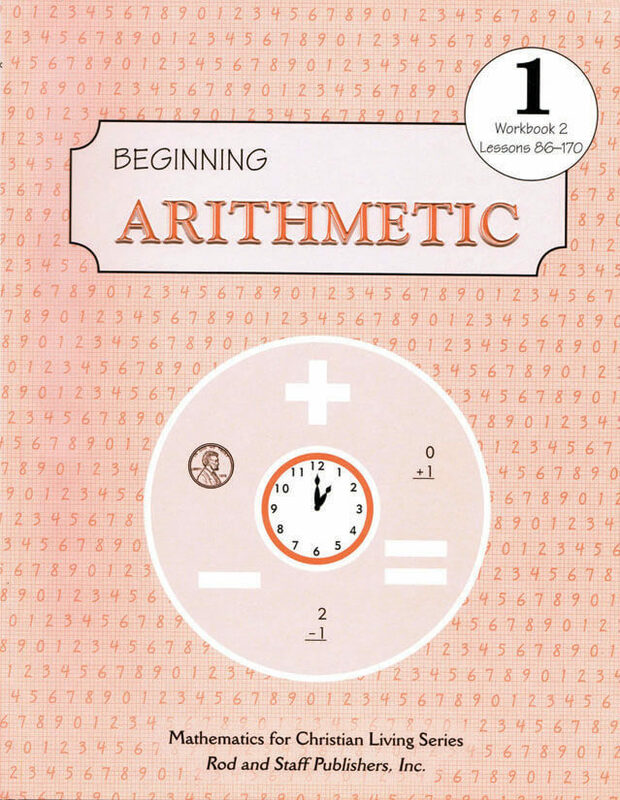 The full curriculum package provided by Memoria Press for their Kindergarten Classical Core Curriculum utilizes not only the Numbers Books series from Memoria Press, but also Rod & Staff Beginning Arithmetic 1, Part 1 (and the Teacher’s Edition and Practice Sheets). 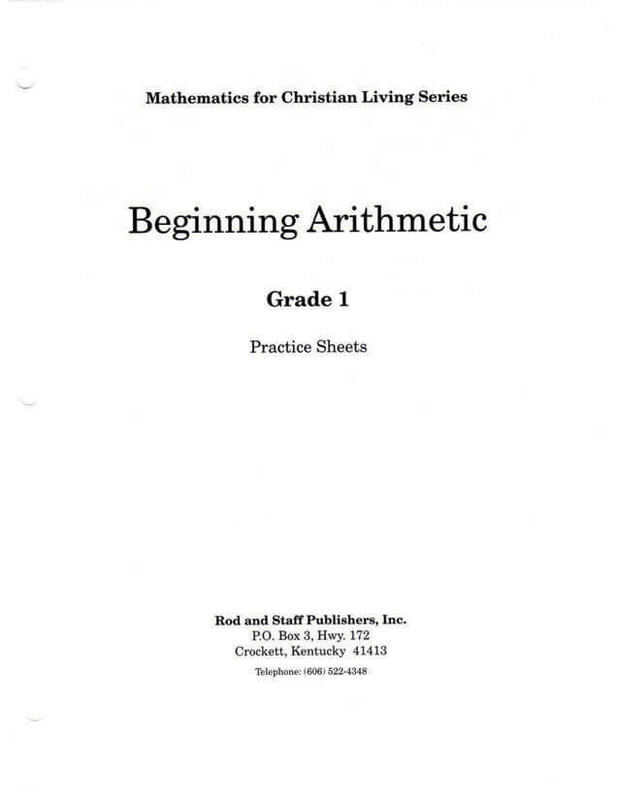 I really wavered on whether or not I would use R&S math or something else, I kept hearing about so many people just substituting in something they already liked. 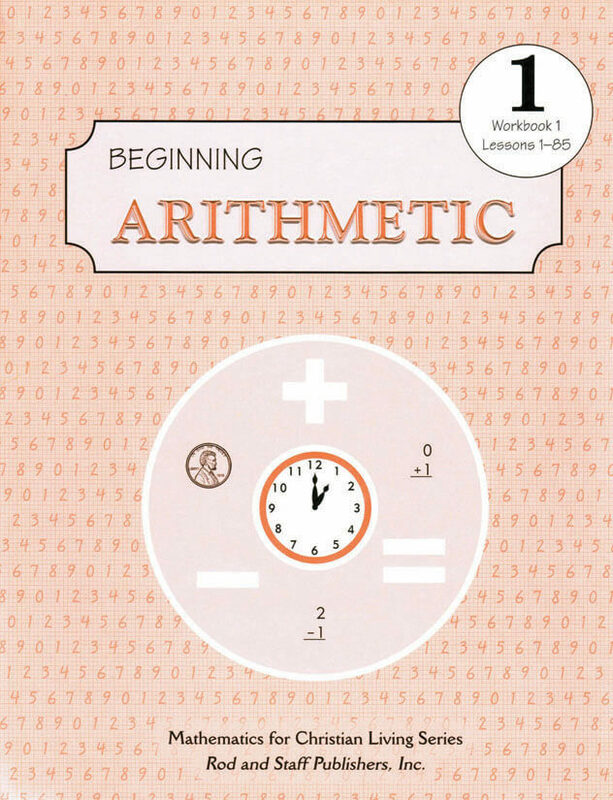 Yet with the inspiration of the people behind the packages at Memoria Press I decided to give Rod & Staff Beginning Arithmetic 1 a try, and I haven’t looked back since! My daughter has enjoyed doing her math with this math set. She has retained so much of the information learned. So glad we chose to use Rod & Staff math.